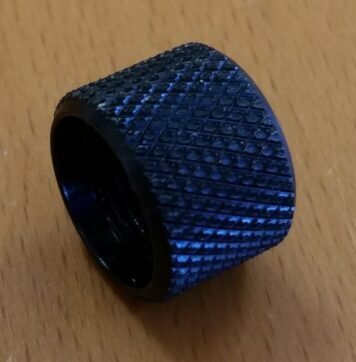 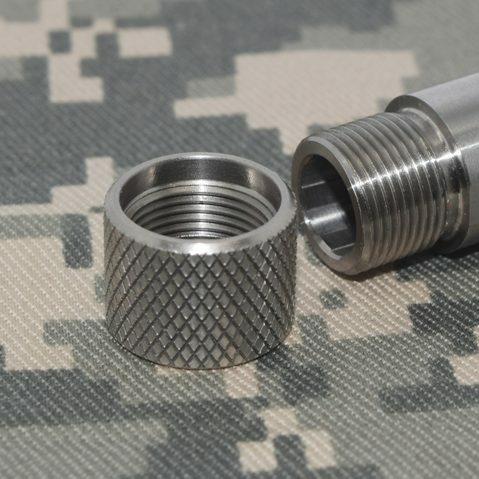 1/2″ x 28 barrel thread and crown protector. 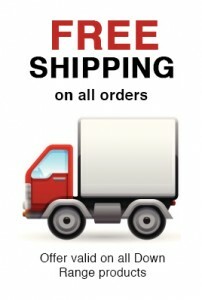 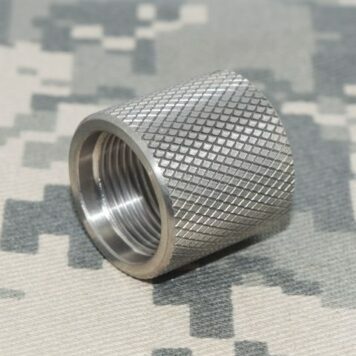 It is machined from US made stainless steel to very high quality standards on CNC lathes in my shop. It is counter bored to accommodate barrels that are not undercut at the shoulder. 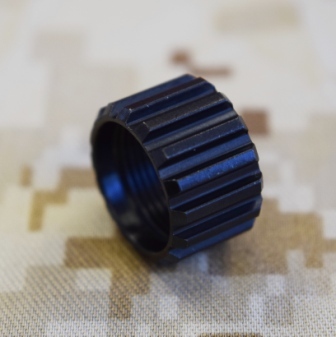 It extends over the end of the barrel to protect the barrel crown if dropped. 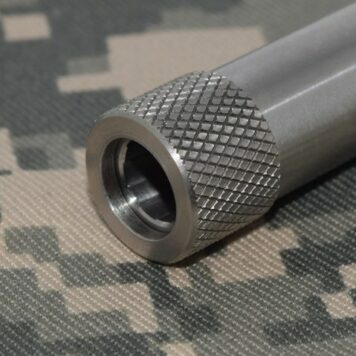 Outside diameter is .640 With a clean crisp knurl. 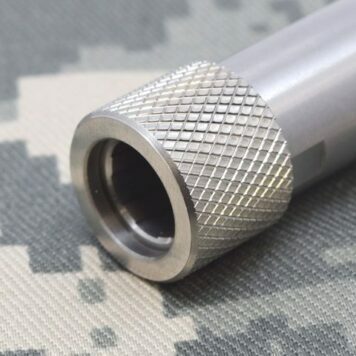 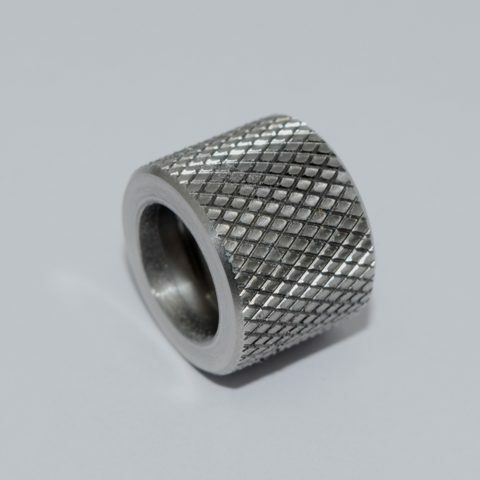 Fits Lone Wolf Aftermarket Threaded Barrels and other brands with a 1/2″ x 28 thread. 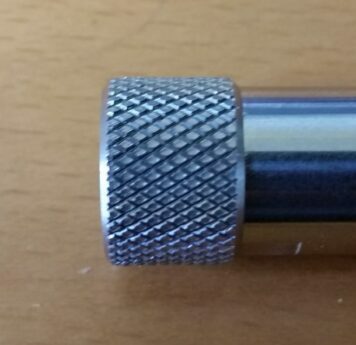 Does NOT FIT the factory Glock since it has a metric left hand thread.